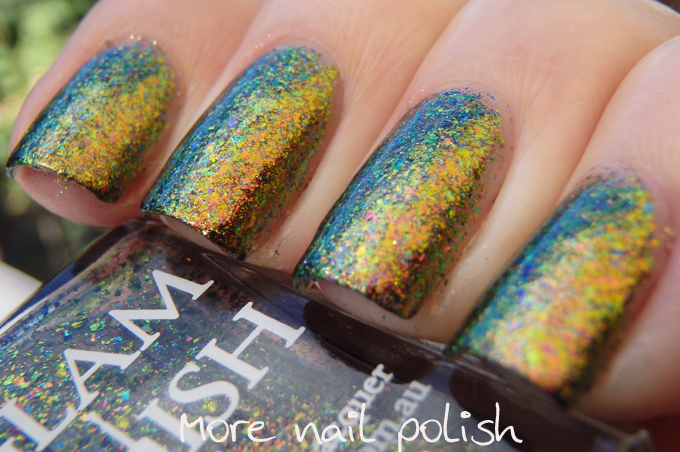 Multichrome Flakies have exploded onto the indie scene in the last couple of months, and I for one am so excited to see a new finish! 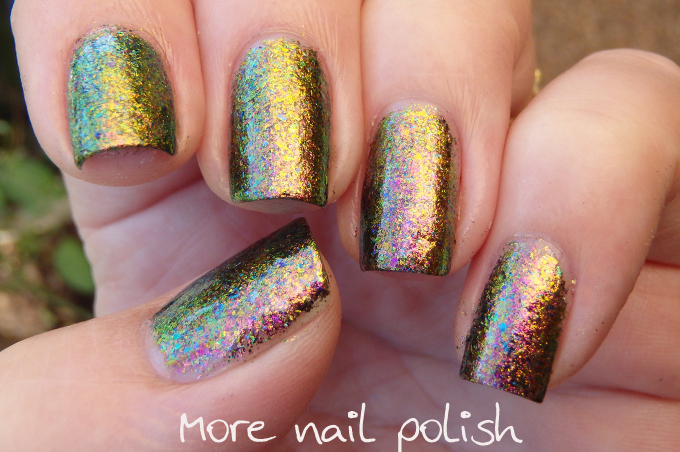 These multichrome flakies bring all the glorious colour shifting qualities of regular multichrome polishes, but because they are flakies they have a metallic reflective shine that makes the sparkle so bright. Let's take a closer look. 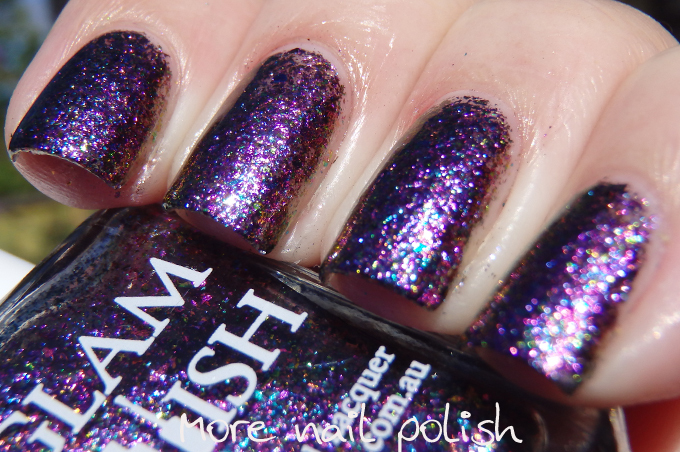 For all of these pictures I decided to show off the polish without layering it. I really wanted to see the effect of the polish all on its own. 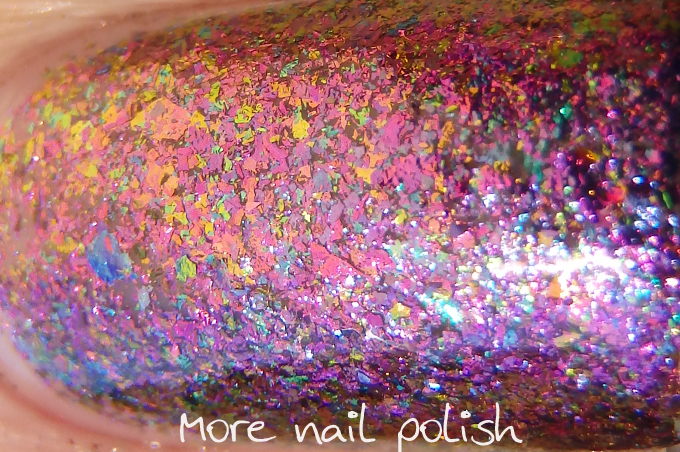 These polishes are definitely layering polishes, but it's very easy to achieve full coverage on the nail without a thick gloopy mess when you use a make up sponge. 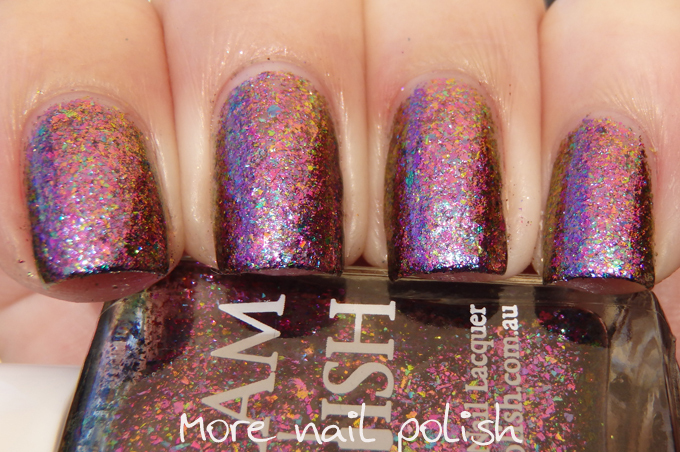 Comet Storm - The flakies are mostly purple and pink in this one but they colour shift through to green and yellow. 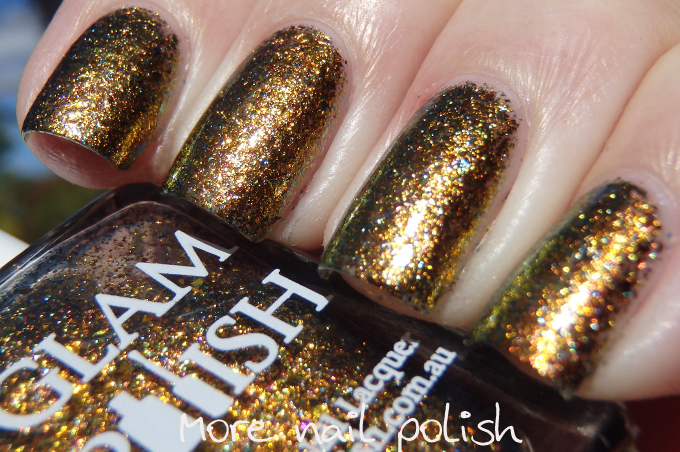 Dreamscape - The base flakie colour is actually a reddish copper colour which then shifts through green to yellow and blue. The main base colour is best seen in the photo in the sun. 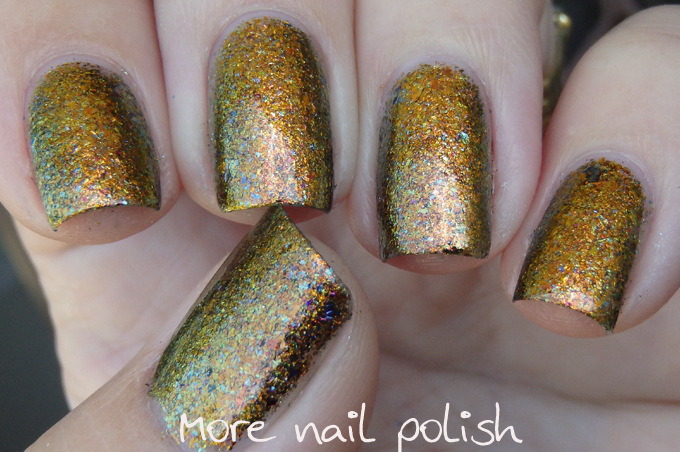 Eternity Dragon - a warm copper base that shifts to light green. I'm really loving these multichrome flakies and am excited to see so many indie brands coming out with them. 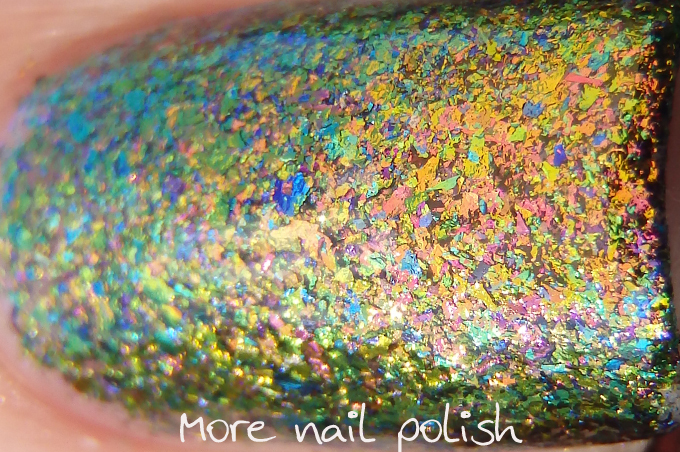 I've always been a huge fan of regular iridescent flakies that you need to layer over dark colours to get full effect. 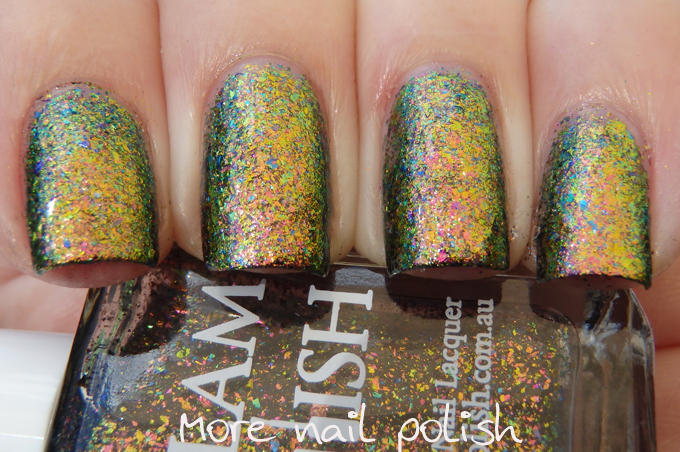 But because these multichrome flakies are totally opaque, you can wear them over any colour and still see the full colour shift. 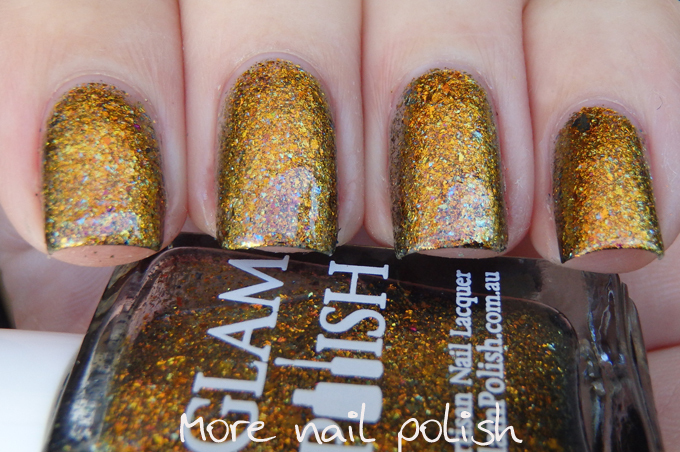 The Glam Polish Fantasia Flakie Collection is available from www.glampolish.com.au. 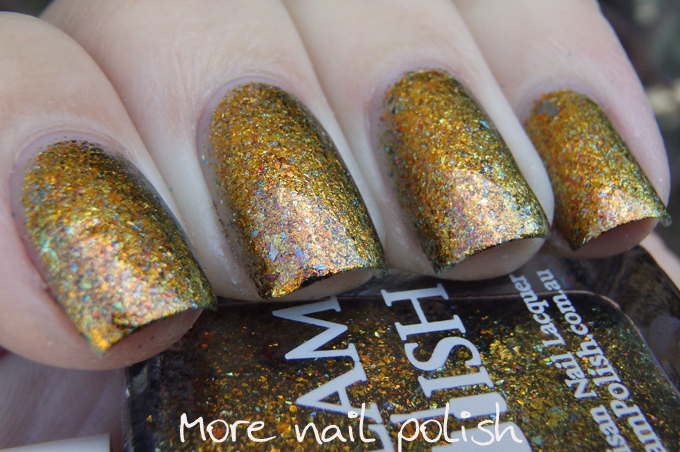 Be sure to keep up with the Glam Polish Facebook page for more Fantasia Flakies and postage details for Christmas - yes there is still time! 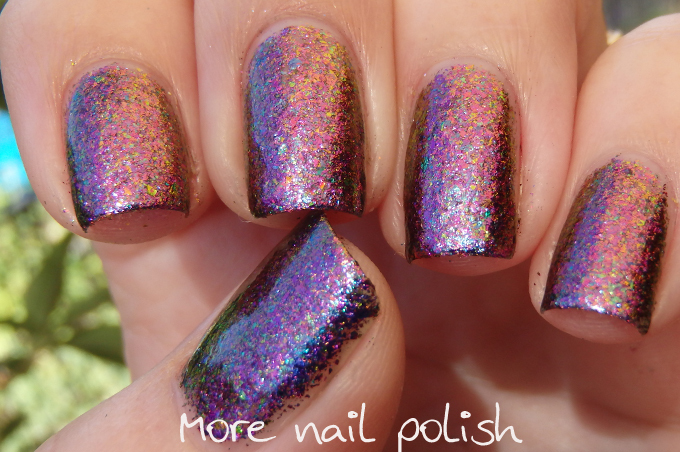 I, too, like to see these new multichromatic flakie polishes on their own but I've never tried application using the sponge technique you describe -- genius! 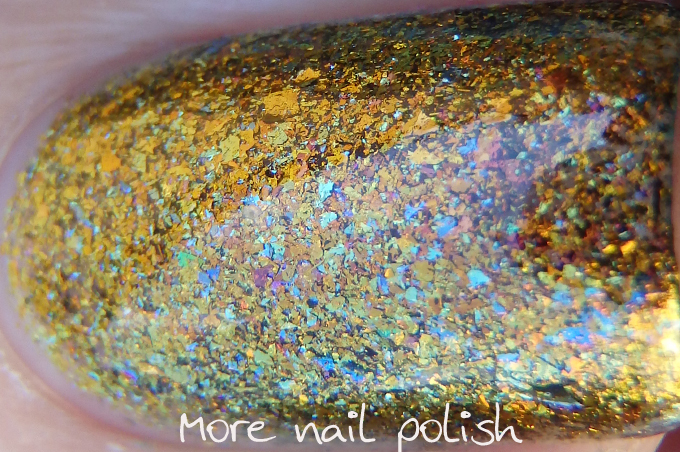 I love the dappled, mosaic effect that you show so well in your close up macros. Another thing I love about the finish on these is how the reflectivity of the flakies produces a scintillating sparkle in direct sun, although indirect light and shade make the entire spectrum of colors more accessible. 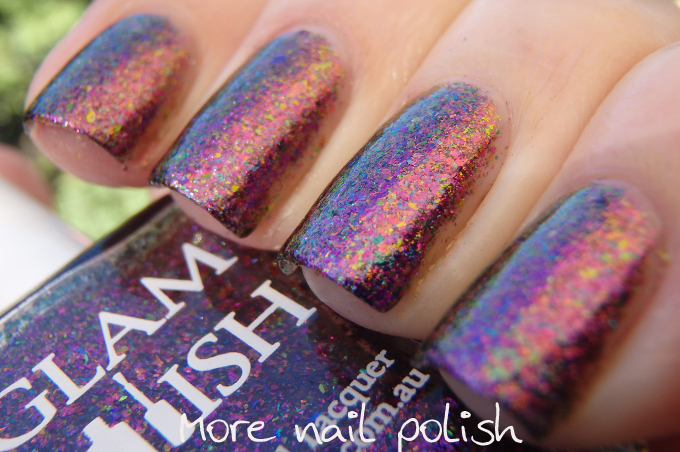 I think my favorite of the polishes you've featured today is Dreamscape. Outstanding photos, excellent post! 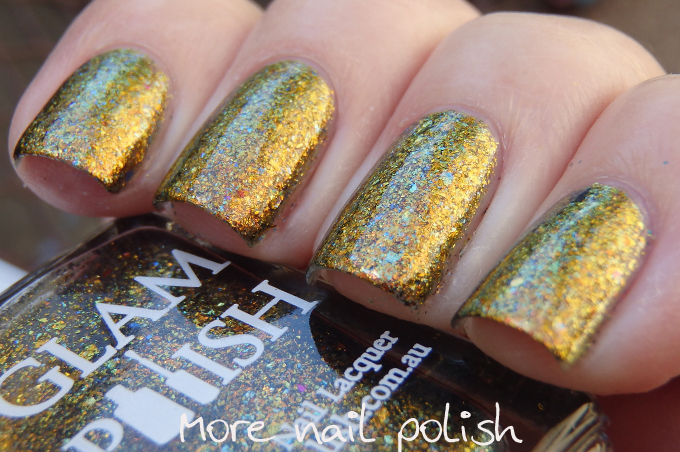 Thank you for such gorgeous posts of such lovely polishes, Aussie indies really do blow my mind.